Every day, Hollyscoop receives mass amounts of emails in regards to our “Artist Of The Week” article. This week we have found a talented musician by the name of Nick Howard. A melody minded singer and songwriter who draws upon a range of pop/rock and acoustic led influences to blend soulful harmonies and a cutting edge sound. It is this mix that creates the unique blend of music that distinguished Nick Howard from all others. U.K.before coming to the United States. a glimpse into the transition of his sound. gritty, favoring a pop-rock sound. 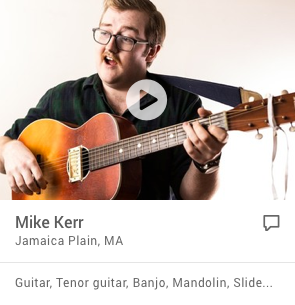 Artist of the day on NEW! I'm happy to announce that I'm the featured Adult artist on 58 radio station websites, as well as iheartmusic.com, Clear Channel's new music and lifestyle destination. Iheart features over 750 of America's favorite radio stations and tens of thousands of songs and videos on demand! My feature feature is available to an audience on over 400 participating station sites! Nick Howard could never be accused of sitting still, in the last two years alone the British singer-songwriter has played 300 shows across Europe and the US, enjoyed his first iTunes number 1, packed in several headlining tours and even managed to learn German in two months and win the hugely popular TV show The Voice of Germany. Nick released his eagerly awaited fourth album ‘Living In Stereo’ in 2014. ‘Living In Stereo’ includes his hit single 'Untouchable' (co-written and produced with Grammy nominated writer/producer Toby Gad) which was released in Europe in 2014 and was supported by fantastic radio play & several notable TV appearances including a performance in front of 1 million people at the Brandenburg Gate on New Year's Eve. The single reached the Top 10 on the German radio charts (the only independent release in the Top 20), and made the Top 10 in Italy where it was the most played independent song on Italian radio. 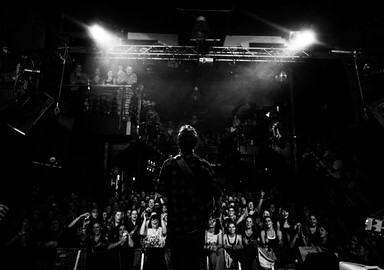 Nick’s musical journey began in New York, where he had moved as a 21 year old to pursue his music career. He spent several years working various 9-5 jobs (secretly booking gigs and writing songs whilst pretending to work) in addition to working as a waiter and bartender at night (where he claims he was the worst bartender in the city) to support his dream. He would write, record and perform whenever and wherever possible (he jokes that his first show was at such an obscure venue that even the Google van couldn't find it) and by having his music used over 40 times in TV shows such as Pretty Little Liars, The Hills, Jersey Shore, Switched at Birth, Army Wives, LA Ink and 90210, Nick was able to support himself as an independent artist. 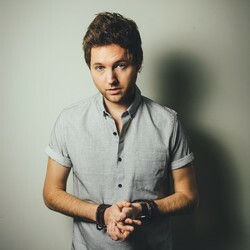 After touring with bands such as Lifehouse & Boyce Avenue in Europe and supporting the likes of Train, Eric Hutchinson and Gavin DeGraw in the US, Nick managed to build a loyal fan base in both continents and auditioned for The Voice of Germany as a way to introduce his music to a bigger audience, choosing Germany because his fans there were the first to embrace and support his music. Nick learned to speak German just two months before the first show. Nick has spent the majority of the last few years on the road in the US and Europe promoting 'Living in Stereo', playing over 600 shows to over 100,000 fans all over the world. 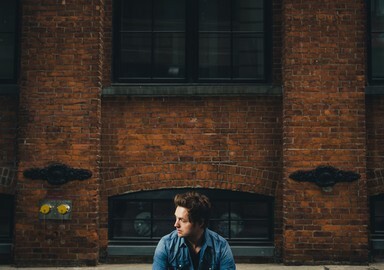 For the last few months of 2014 Nick supported Eric Hutchinson and Tristan Prettyman on their 31 city US tour. Due to an overwhelming response from new fans, Nick set out on his own 11 city headlining tour during which some shows sold out in just a few days. Make sure to catch Nick at a show while you can, he doesn’t sit still for long.